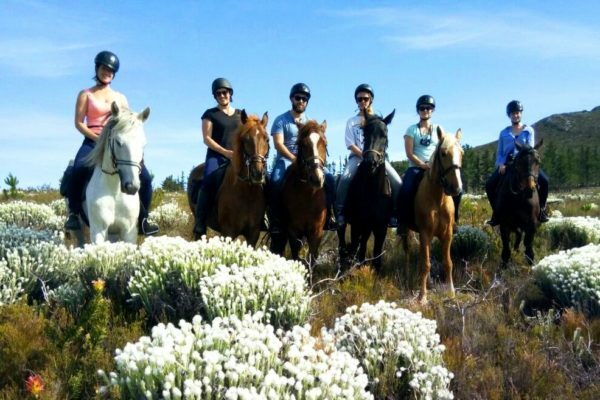 Whether you have never been on a horse before or toughened by the saddle, our experienced horse riding instructors will guide you on our trails which takes you either through fynbos, wild flowers, orchards, vineyards or beautiful mountain scenery. 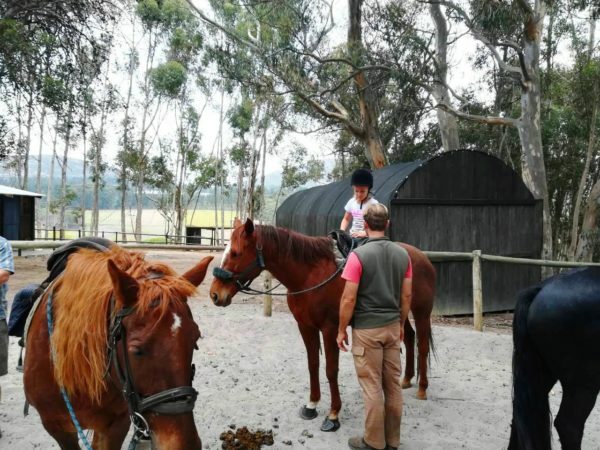 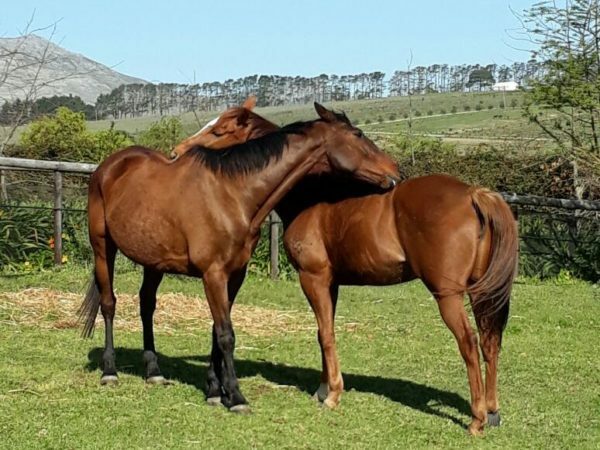 We cater for beginners and advanced riders alike – we have horses for young riders(age 6 and up) and strong horses that can carry up to 105kg. 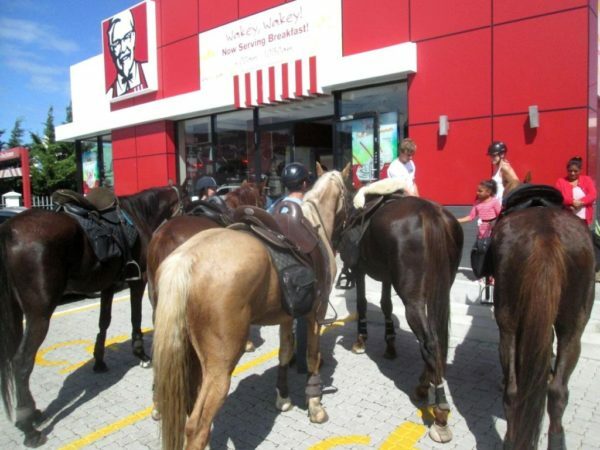 PLEASE NOTE: We do NOT offer beach rides. 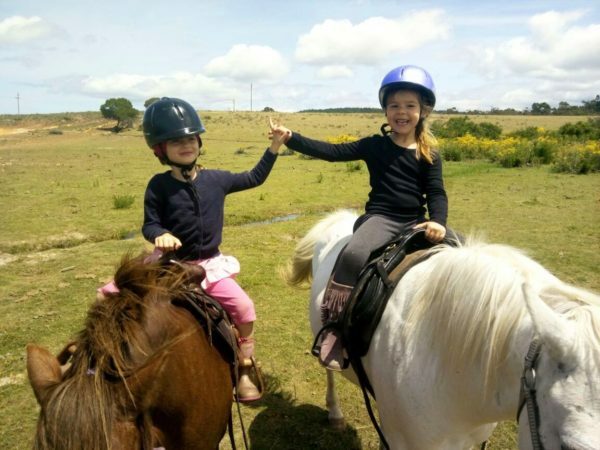 BOOKINGS: Please look at different trails and timeslots we have to offer then fill in our Enquiry Form on the contact page(make sure it Submits); or call us to secure your booking. 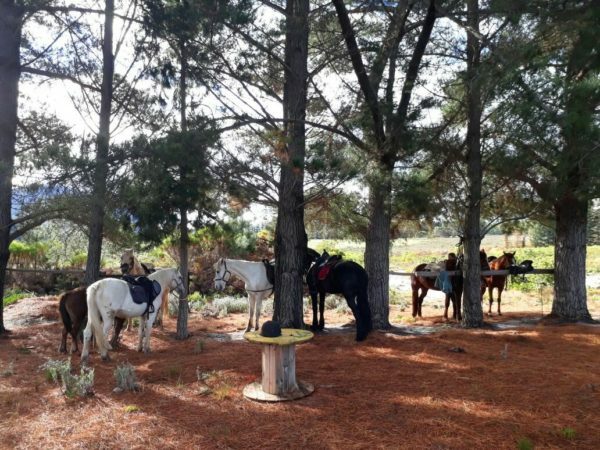 Our Orchard Trail is available daily around noon. 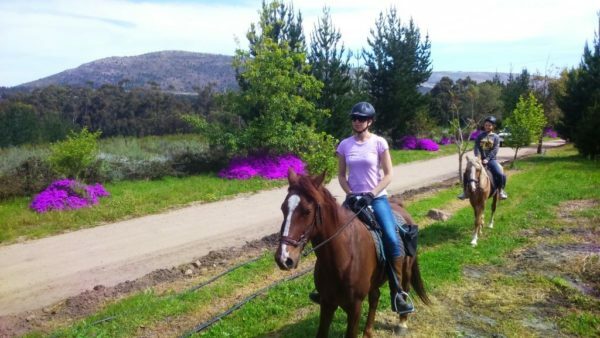 We can accommodate 1 to 8 riders at a time on this trail. 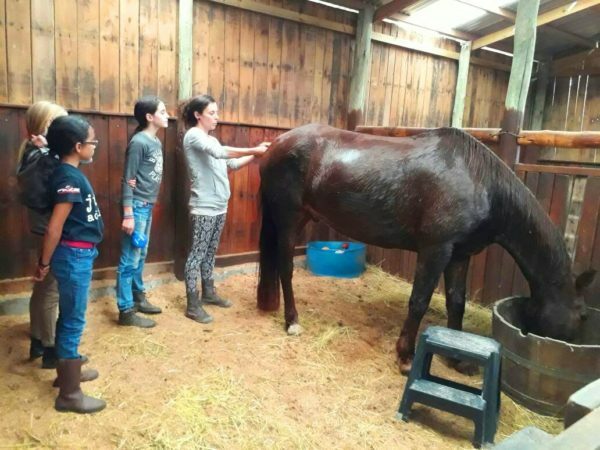 PLEASE NOTE that occasionally we might join different groups together if there are numerous enquiries. 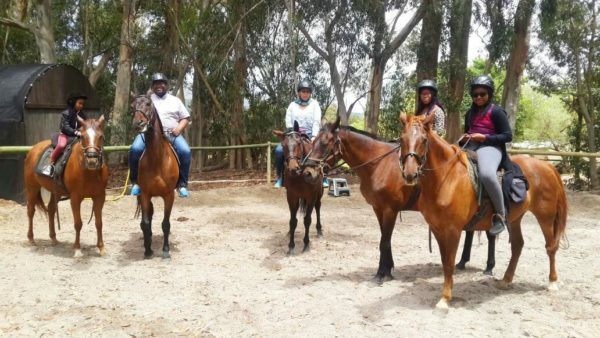 During this trail the focus will be on handling the horse correctly and introducing clients to their first trot. 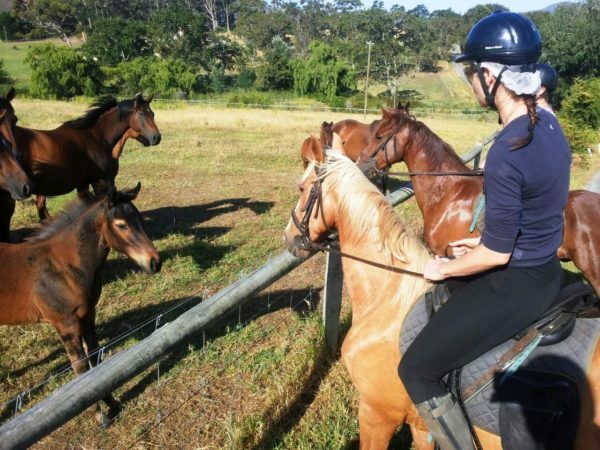 Ideal for beginners or intermediate riders that would like to experience an adventure on horseback in beautiful surroundings. 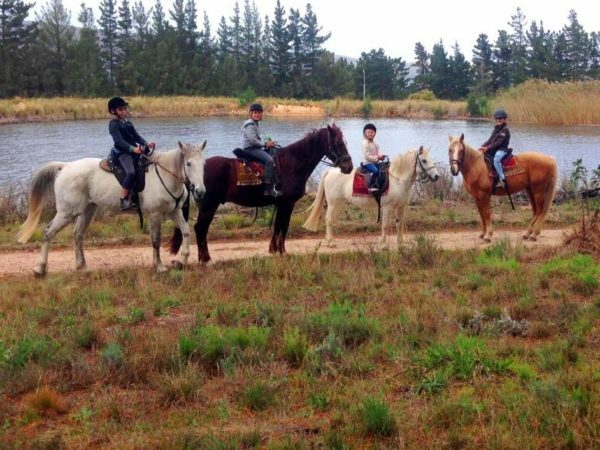 We offer private and exclusive trails at 8:30 and 15:30 daily. 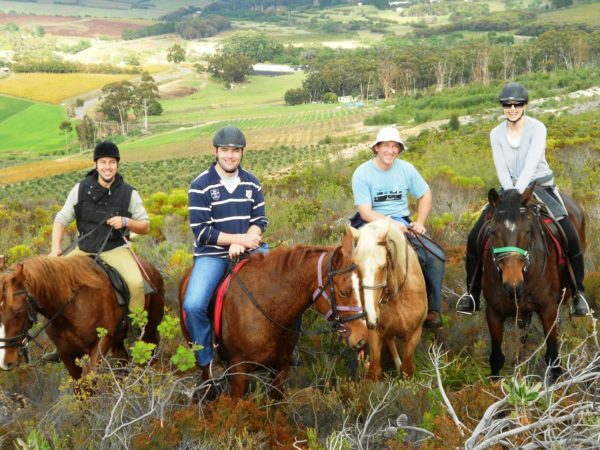 Ideal for taking that special person or the whole family on a splendid adventure. 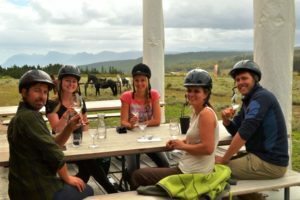 During these timeslots we only book one group and our guides will give riders special attention and instruction during the ride. 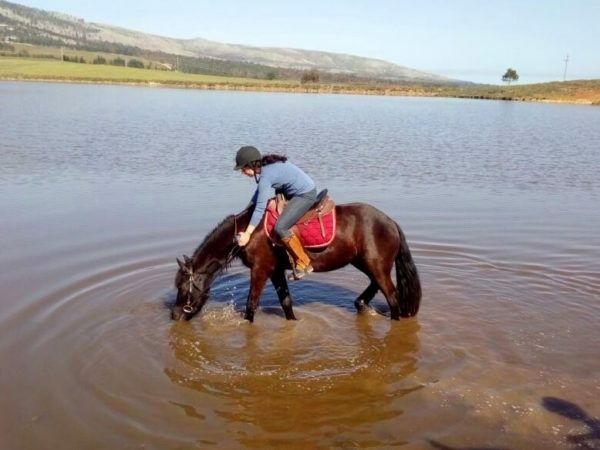 Any experience level can be accommodated – walk, trot and canter as per clients needs. 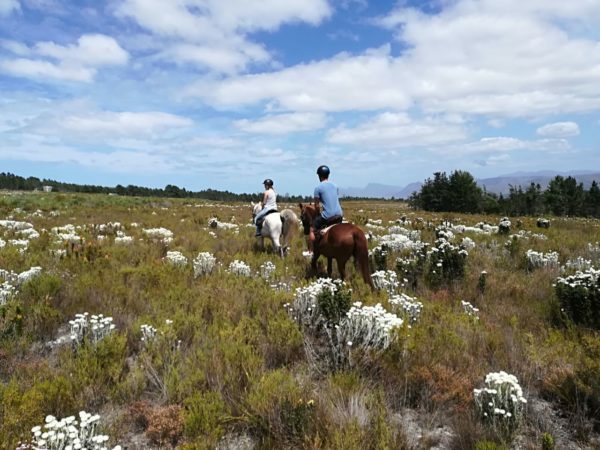 Have you mastered showjumping in the arena and are looking for some lovely obstacles in pristine Fynbos? 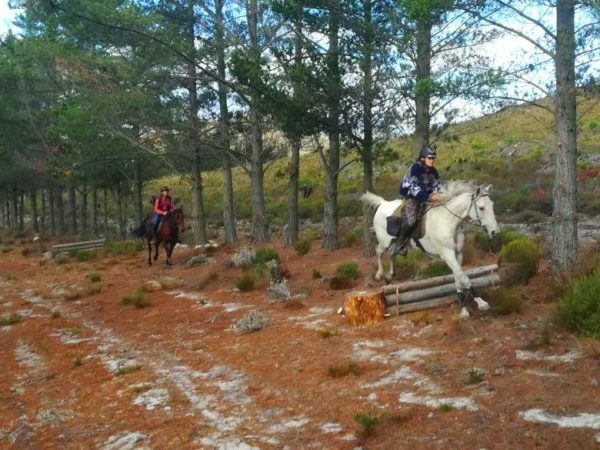 Why not try out our own beautifully designed 3,9km Cross Country trail? 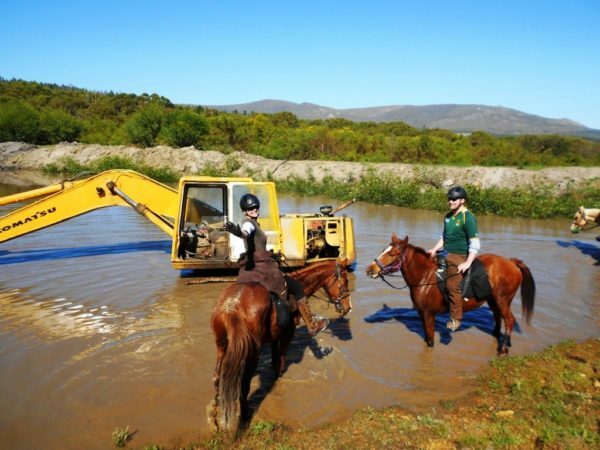 There are a couple of ditches to steer through and thirty natural obstacles (30-40cm) that needs maneuvering and jumping. 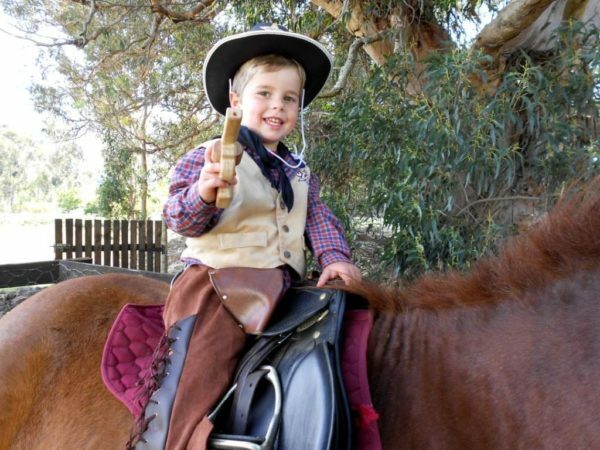 With any obstacle you will have the option of completing it or steering around it. 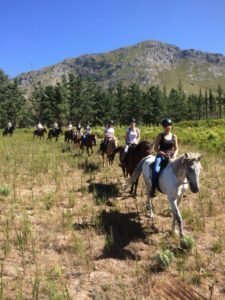 Our guides will make sure all riders are comfortable at all times, move at a speed they prefer and give the necesary instruction to make this one of your most memorable experiences on horseback. 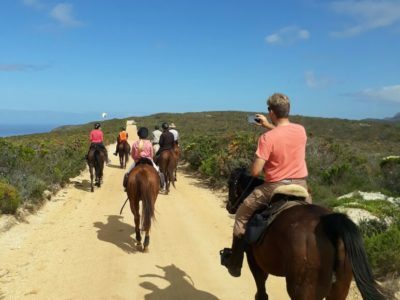 If you are an experienced rider that longs for a relaxing, scenic ride with lots of walking and trotting; and the odd canter here and there; we highly recommend this trail. 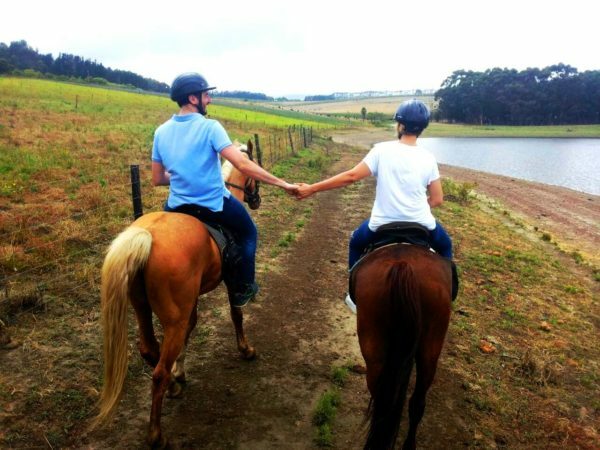 Starting off through apple orchards, vineyards, pine forests and a stud farm, you finally reach Sumaridge Cellar. 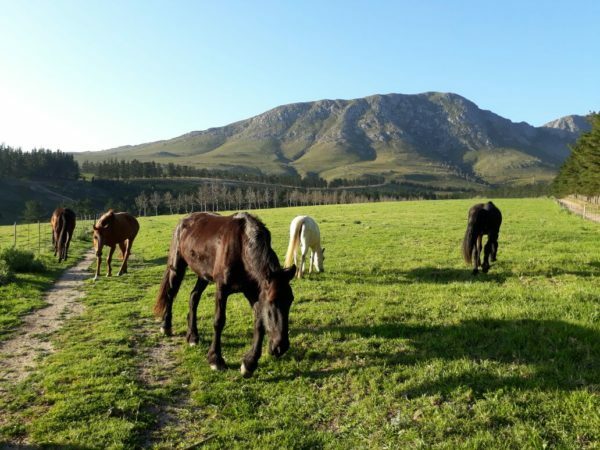 From here there is spectacular views over the Valley. 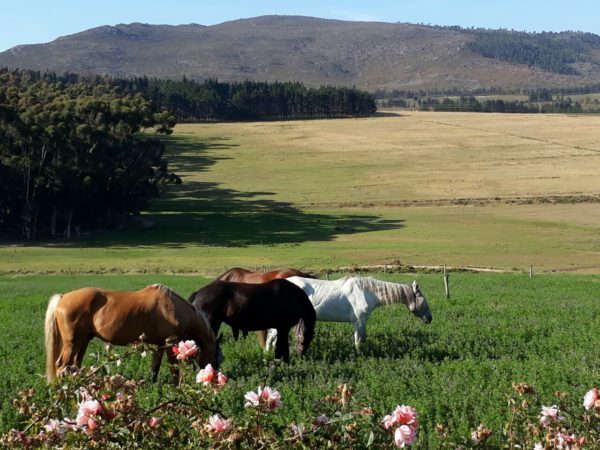 On your way back you will either meander along the banks of the De Bos dam or trek through Volmoed up the winding Fynbos track towards the stables. 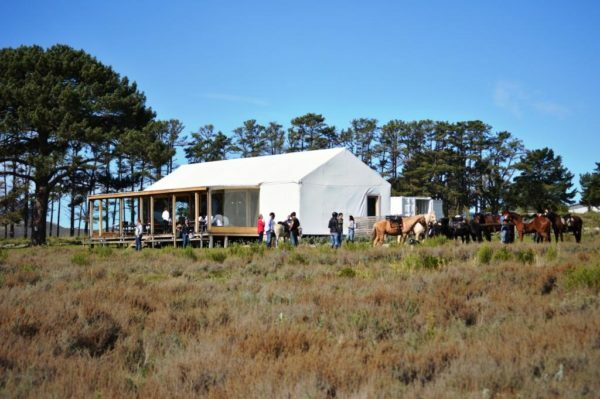 The Bosman Frame House is complimented by the aromatic smell of the indigenious fynbos, majestic mountains and fertile soil. 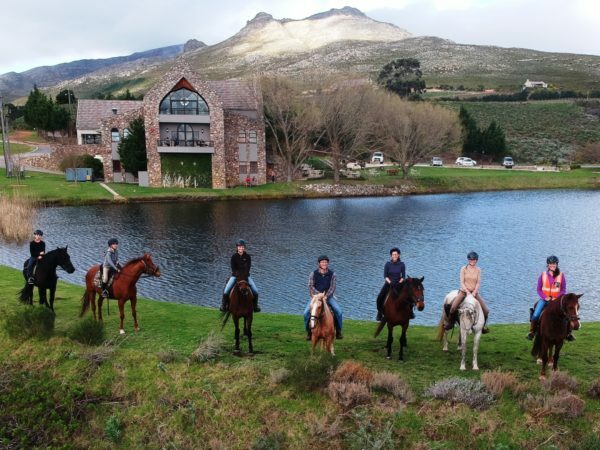 Innocently draped in pure white, this frame house is the perfect destination to our guests who would appreciate a stroll on horseback for beginners or an exhilarating ride with lots of trotting and cantering possibilities for our experienced guests. 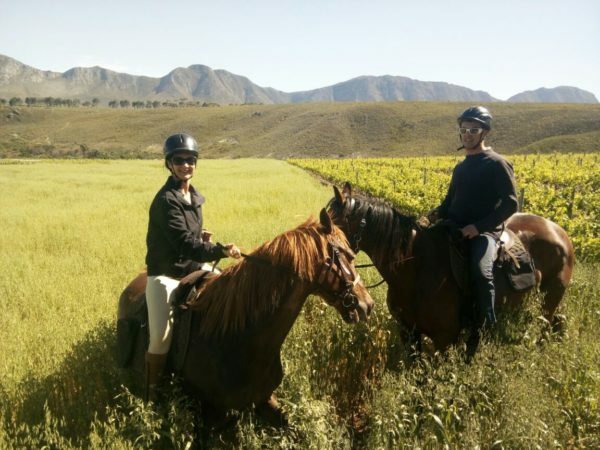 Whether it is wine-tasting on the deck overlooking the vines, or a wicker picnic basket for two to enjoy, this experience promises to be delightfully , dreamily and memorable. 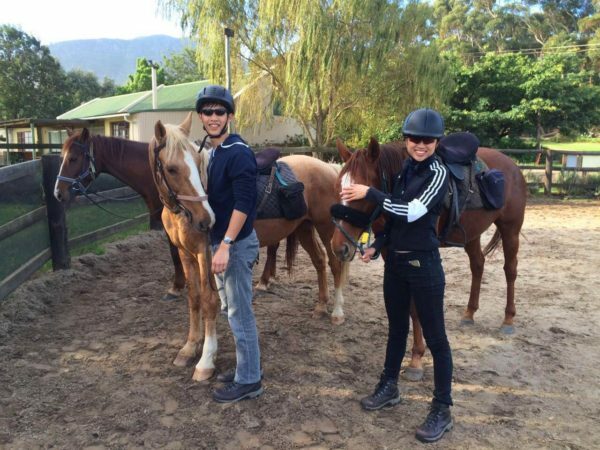 To enjoy the picnic basket for two, it is necessary to request this with your booking enquiry. 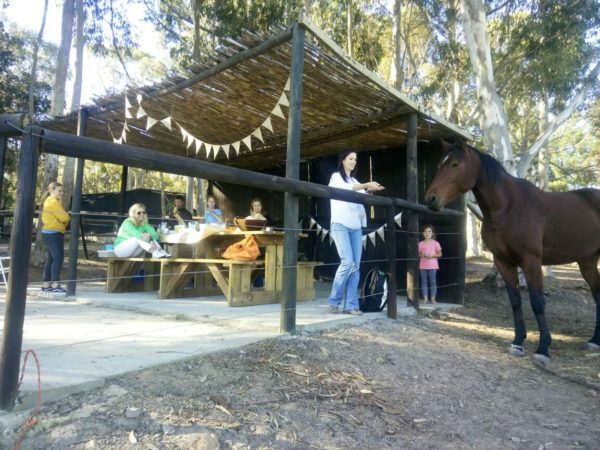 Add R50 / person for winetasting; or Add R250 / person for the picnic basket with a bottle of wine; or Add R200 / person for the Platter for Two including a bottle of Bubbly; or Add R150 per bottle of Bubbly. 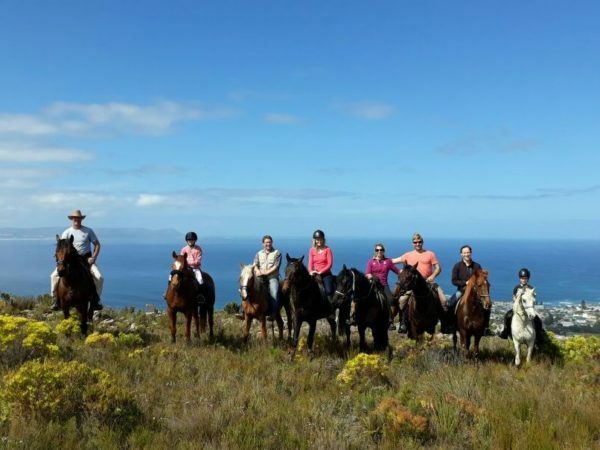 Please visit Bosmanhermanus.co.za for more details – click on logo below to be redirected to their website. 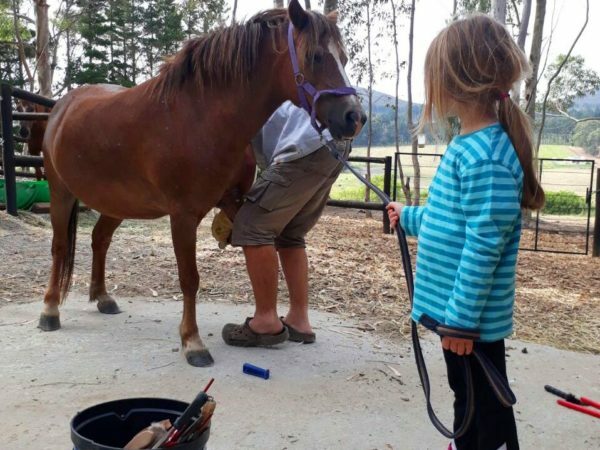 Or that young daughter of yours that adores horses and would like to take her friends for her birthday to our picnicspot on horseback. 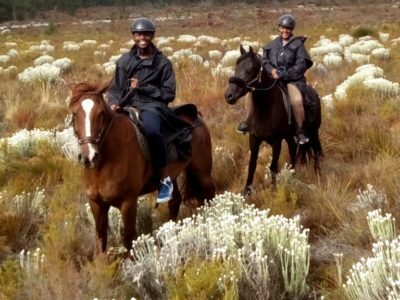 Please note: during peak season(Des-Jan) these options might not be available.